“A Hope House Christmas” is a Broadway-style dramatic musical for the whole family. Have you ever wanted something so badly, only to find out that you have been chasing after the wrong thing? Come and meet Maggie Murdock, a young entrepreneur with the desire to make it big in New York City in the 1960s. With the help of some colorful characters, we’ll travel with Maggie up the ladder of success, and find some Christmas surprises along the way! Once again you will experience heart-warming music, beautiful sets and costumes, and a story packed full of love, laughter, and tenderness. Tickets on sale October 20, 2018 at 10AM. 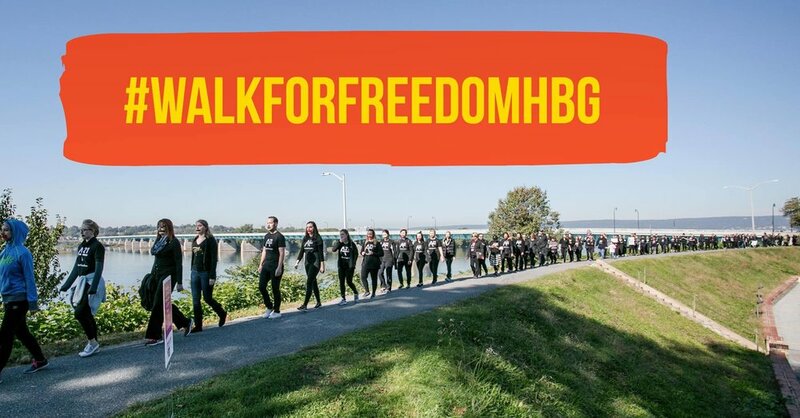 Join us as we Walk For Freedom in Harrisburg, Pennsylvania. If you have any questions about this walk please contact us at jordan.pine@clacamphill.com. The 3-mile walk begins at 10:00am, and there will be a time of prayer and reflection from 9:00-9:30am. Following the walk, hear from speakers and representatives that work with survivors of human trafficking. All are welcome to join. For those driving to the event, State Street will have metered parking available, as well as the South Street Garage. Some nearby side streets may have free street parking. Get ready for a night of laughs for the whole family as Michael Jr. makes his way to Christian Life Assembly in Camp Hill, PA! Gaither Vocal Band Live In Concert! Since the early 1990s, the Gaither Vocal Band has served as a standard-bearer in the world of gospel music. Founded by legendary gospel songwriter and producer, Bill Gaither, this Grammy-winning vocal group has performed in the worlds most prestigious venues, including the Sydney Opera House, The Kennedy Center, and Carnegie Hall. The list of men who have comprised the Gaither Vocal Band over the past 30 years reads like a “Who’s Who” among the gospel music industry’s best-loved voices, including Steve Green, Larnelle Harris, Mark Lowry, Michael English, David Phelps and many others. A featured favorite in the Billboard chart-busting Gaither Homecoming Series, the Gaither Vocal Band continues to fill venues across North America with a steady tour schedule every year. Today, the Gaither Vocal Band roster is comprised of five power-packed voices, including Bill Gaither, Wes Hampton, Adam Crabb, Todd Suttles and Reggie Smith. Individually, these men are gifted artists and men of authentic faith. Together, they are the known around the world for their stunning vocals, innovative harmonies and life-altering message… a message of grace, hope and redemption. Join us for a live concert, a still art gallery, and an art auction all benefiting Greenlight Operation and our work to fight human trafficking in the Greater Harrisburg Area. Our featured performing artist, Marc Martel, is a Christian rock artist that has been on the Ellen DeGeneres Show, performed with the surviving members of Queen on American Idol, and spent over 10 years recording and touring throughout the world. In additional to Marc Martel and local artists, many of Pennsylvania’s anti-trafficking organizations will be present. It will be an evening you don’t want to miss!